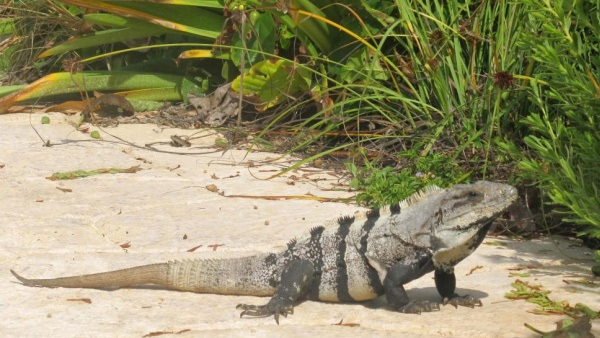 Mexican environmental authorities say they seized 8.5 gallons (32 litres) of stew made of Mexican spiny-tailed iguanas, a protected species considered threatened in Mexico. The environmental protection office announced on Tuesday the meat was seized at a restaurant in the township of Jojutla, in southern Morelos state. The office acted on an anonymous tip the iguana breasts and legs were being served up in what appeared to be a green-tomato sauce at the restaurant. The meat was seized, but it was unclear whether the owner of the restaurant would face charges. The office said it is working to discourage residents of Mexico’s hot-lands region from using protected or threatened species in traditional dishes.